Birka was an important Viking trading center located on the Island Björkö (meaning Birch Island) in Sweden. Today there is a museum that showcase archeological findings and the life in Birka. 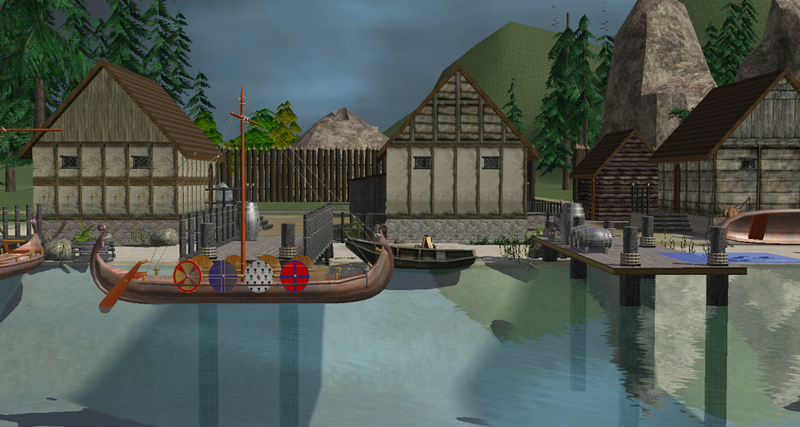 My sims game is medieval and I use Birka as a community lot in my vacation mountain hood that I have turned into a Viking village. 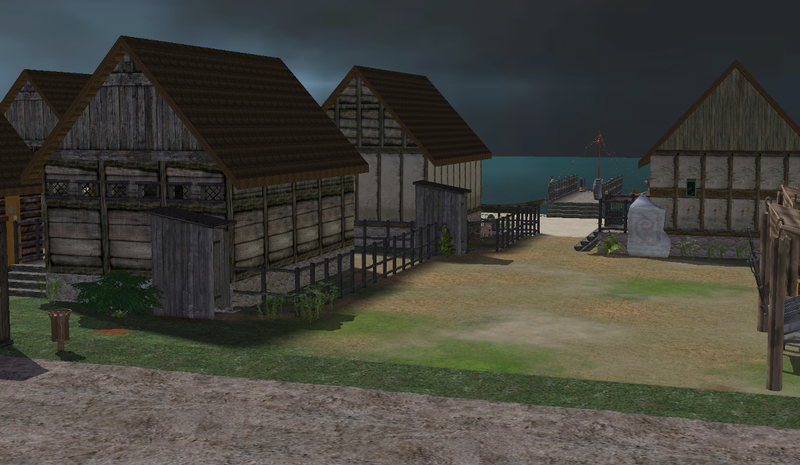 If you play a modern game you could use the lot as an outdoor museum where visitors can try the Viking life (there are some reconstructions of Viking houses on Björkö today). 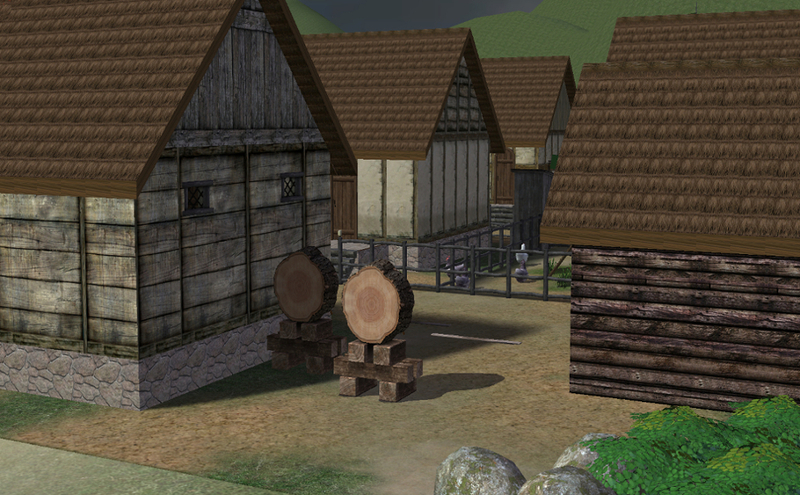 There are plenty of things for your sims to do in Birka. 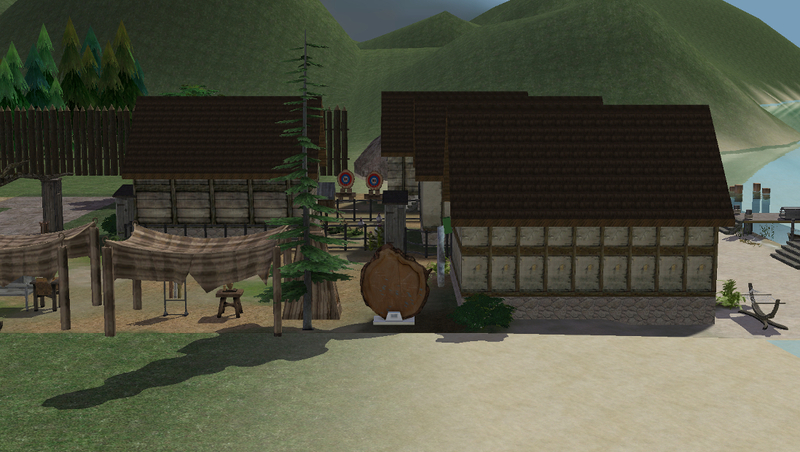 They can buy food from the bon voyage food stand or make their own food in in the stove cauldron (I know, it is maybe a little bit strange to go into someones house and start cooking food, but I wanted the lot to look like a Viking settlement). 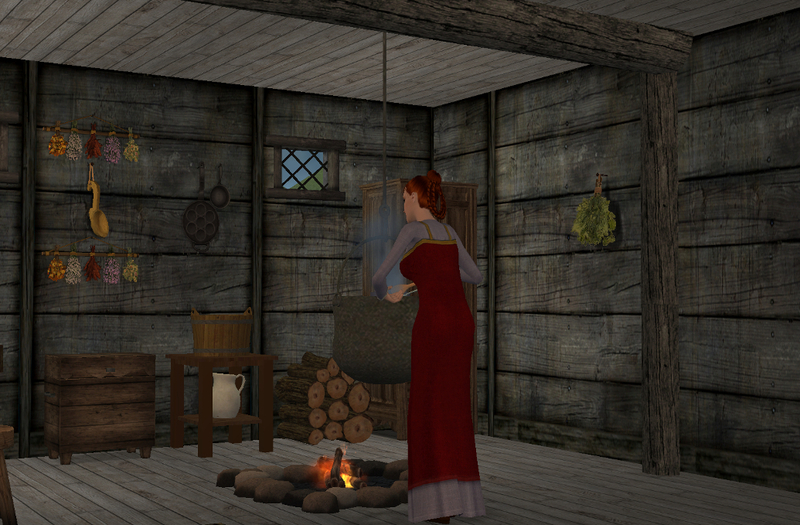 The cauldron stove by Raynuss has been placed with the “moveobjects on” and the “boolprop snapobjectstogrid false”. Therefore the cauldron is not centered over the fireplace or the stone fence around the fire would stop the sims from being able to use the stove for cooking. Invisible stool OMSPs have been placed on the beds to make sims able to sit on them. Your sims can have a refreshing bath and a massage. There is a sauna on the lot. On two of the docks I have placed netmicro’s invisible fishing ponds so that your sims can fish in the ocean. The ponds are visible in build mode but will become invisible in live mode. 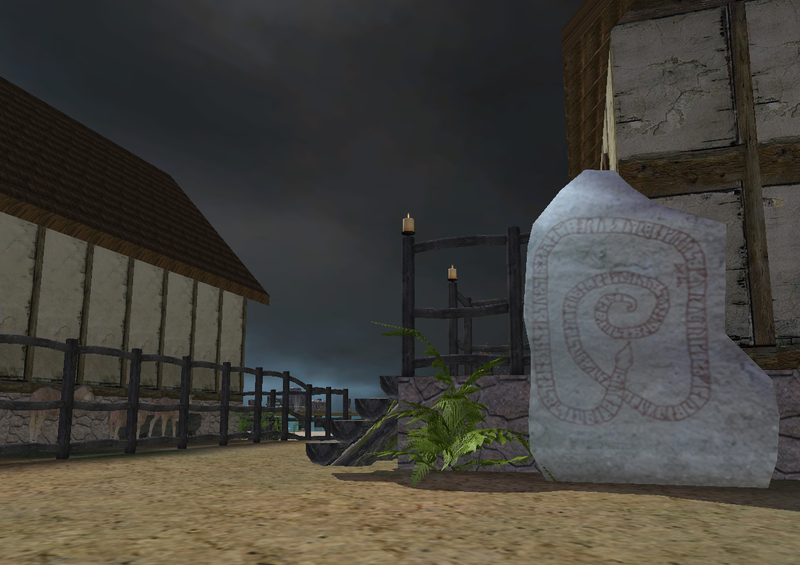 The runestone that I put on the lot is actually not from Birka. The original is located in another Swedish town, Mariefred, outside the castle Gripsholm. Beach lots can be tricky to place. 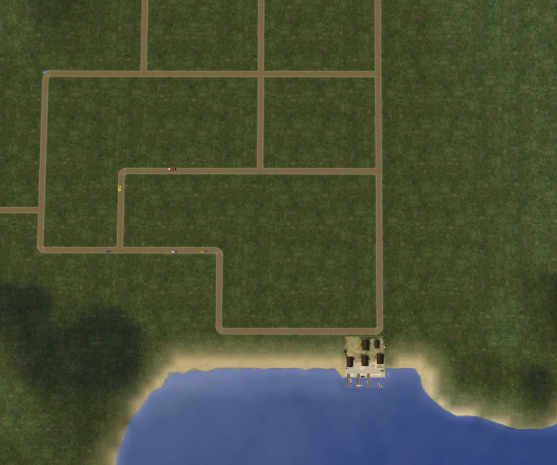 This lot was built in the Maxis neighborhood Desiderata valley and placed as indicated in one of the pictures. 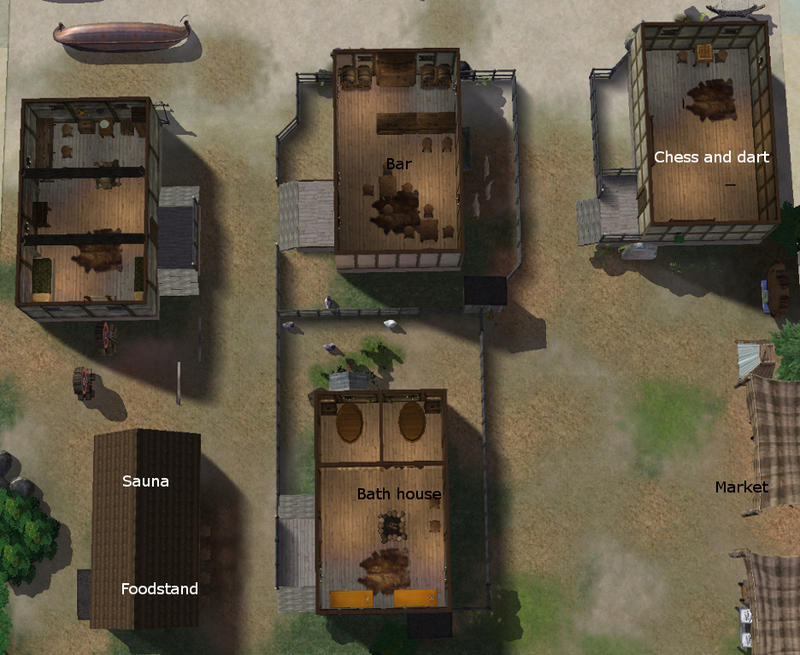 The lot was built in an empty neighbor hood that has never been in live mode. A clone was play tested and was used for picture taking in live mode. I used Kalimero’s recolor of Jeka’s log modular stairs. The stairs should be installed with Numeror’s scriptorium. Please check the link to the stairs for more information about correct installation. After the lot was built and ready for upload I learned that these stairs might clash with another custom stair (I don't know which). In case you have problems with them or want to avoid possible problems you might want to use other stairs. Personally I love Jeka's modular stairs because they are perfect for a rustic "medieval" look. Huge Lunatic’s master column required for the other columns and beams to show (included in the lot). Raynuss’ master sofa from the medieval wood set, or the other items in the medieval wood set will flash blue (included in the lot). Recolor of BuggyBooz nooks and niches by me with a wood texture from a free texture site. Sims in the pictures have hairs by Almighty Hat and clothes by me. NPCs have Sunni’s default replacements. 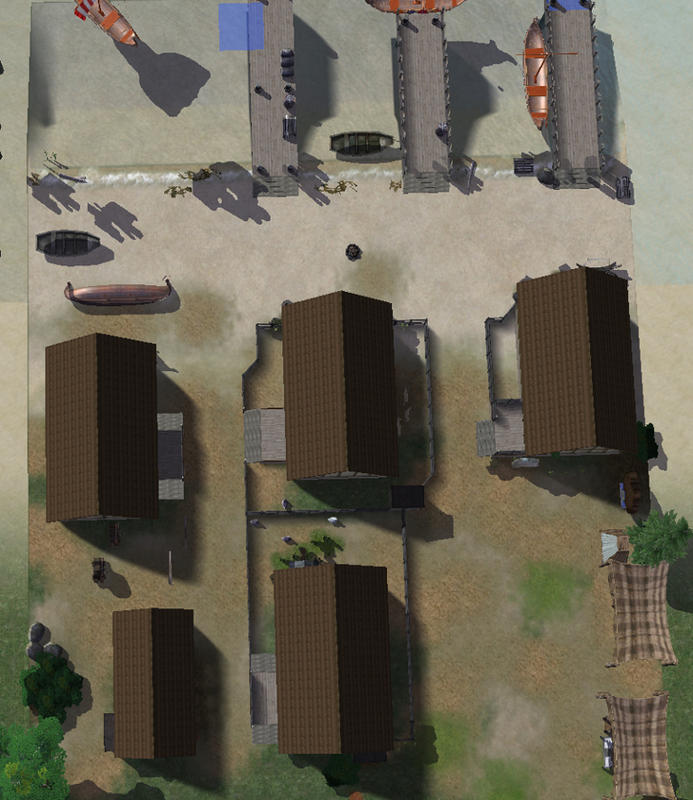 In the background you can see Sunni’s town wall neighborhood deco and also Sunni’s road replacement. Some of the interior pictures were taken with PacMani’s camera mod and outdoor pictures were taken with Psychosims deco sky object in the neighborhood. 69 people have said thanks to beryllium for this download.